Lenovo had recently announced the launch of their latest G Series, i.e. Moto G7 series, which consists of Moto G7, Moto G7 Play, Moto G7 Plus, and Moto G7 Power. All of the are upgrades to their G6 series predecessors with considerable hardware upgrades. The Moto G7 Play is cheapest smartphone in G7 lineup, whereas Moto G7 Powers follows next. The Moto G7 comes at the next, which comes with modern water drop notch design. Hence, G7 Plus is the most expensive smartphone in the series, which is high-end and comes with various upgrades over the Moto G7. 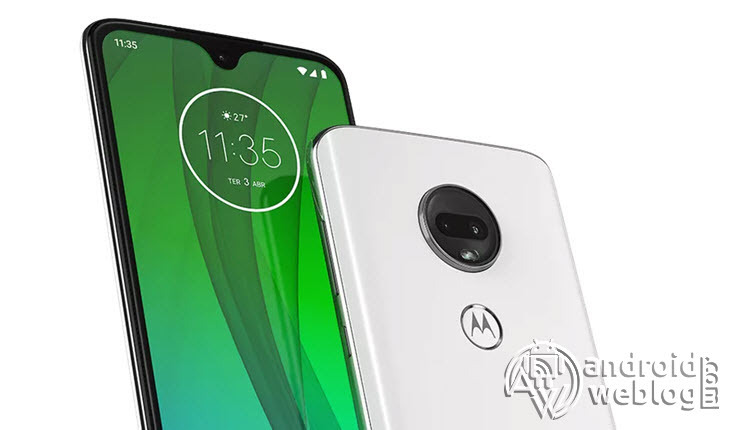 All of the four smartphones in the series shares same design, featuring glass back, except Moto G7 Play which has a plastic back panel. Moto G7 series smartphones features P2i nano-coating for water protection, and runs on Android 9 Pie out of the box. Whereas features like One Button Navigation, Three Finger Screenshot gesture, Attentive Display, Fast Flashlight gestures, Quick capture are supported. The Moto G7 Plus comes with stereo speaker setup, as well as phone has impressive camera, thanks to the OIS supported Dual rear cameras. Here we have listed the full collection of the Moto G7, Moto G7 Play, Moto G7 Plus, and Moto G7 Power stock wallpapers. Although, we have below provided link to download wallpapers in zipped/ compress (.zip) format. After downloading from the link provided, above, just extract the file, and then set the wallpapers of your choice on your device’s home screen or lock screen, whichever you prefer. If you still want to download individual wallpapers, you can just browse our gallery below. Just tap, and hold to download your selected wallpapers. Hence, that’s all. The wallpapers looks cool, stunning and stylish. If you have liked this post, and would like to download many more wallpapers like this from many more Android devices, then stay tuned with of Android Weblog.